Two of the area’s senior football clubs will be in action tonight (Tuesday). 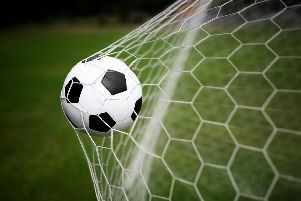 Hastings United will travel to Worthing in Ryman Football League Division One South, while Little Common will take on Langney Wanderers in round two of the Macron Store Southern Combination Football League Division One Challenge Cup. Hastings will be keen to build on their 2-0 victory away to Tooting & Mitcham United at the weekend and continue climbing the league table. They currently lie 17th, but have games in hand on just about everyone. United will have their work cut out tonight, though, because Worthing are handily placed just outside the play-offs and have games in hand on the sides above. The Rebels have won five of their last six league matches, including a 3-1 victory at The Pilot Field in last month’s reverse fixture. Worthing and Hastings progressed further than any other Ryman Division One South sides in the FA Cup, reaching third round qualifying, and neither side has yet drawn a league fixture this term. Tom Vickers is available for United following a one-match suspension. Kick-off on Worthing’s recently-installed artificial 3G pitch is 7.45pm. Little Common, meanwhile, will face Langney in a match which has been switched to Little Common Recreation Ground as Langney - who were drawn at home - don’t yet possess floodlights. While Common have struggled in the league of late, their cup form has been excellent and tonight they will be gunning for a sixth victory out of seven in the various knockout competitions this season. Again it will be tough, however. Langney are fifth in the league with 19 points from nine outings - five places and six points better off than Common having played a game less. Kick-off in that match is 7.15pm.